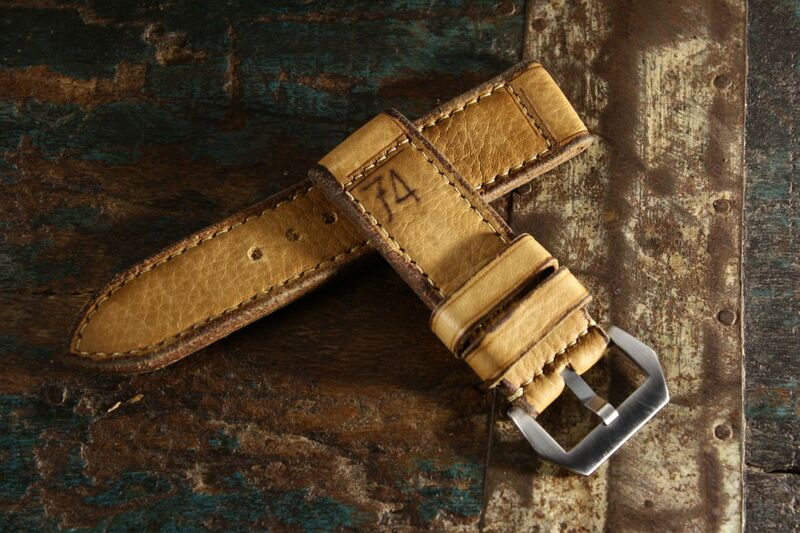 The “74″ Strap is probably the most famous vintagestrap for every paneristi. 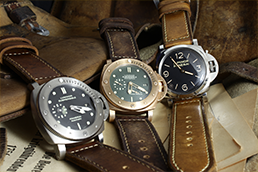 It is shown in the catalog of Panerai and is still mounted on the famous 6152/1, which is owned by Panerai itself. 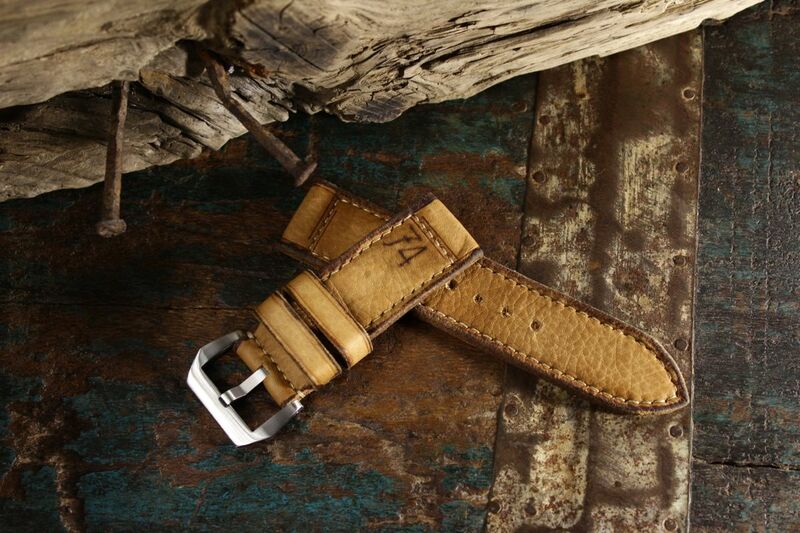 A lof of “paneristi” and fans of custom made vintagestraps have seen this strap in real, because it is presented very often on fairs or events of Panerai. 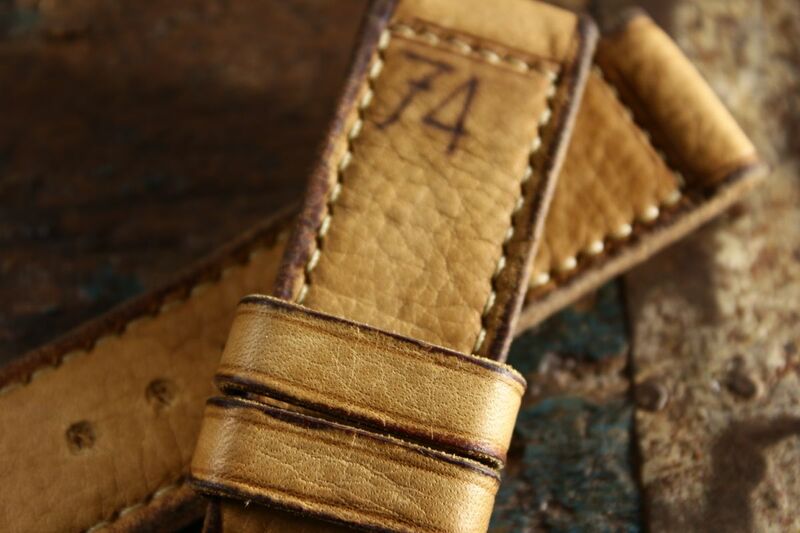 Our version of the “74″ strap looks like a really old strap, but it has all the new properties which are needed for a comfortable use. 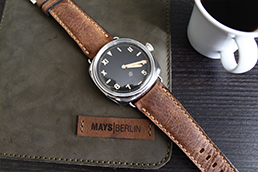 The strap is very soft and is made of finest genuine leather, it is completly handmade like every strap from Mays-Berlin. 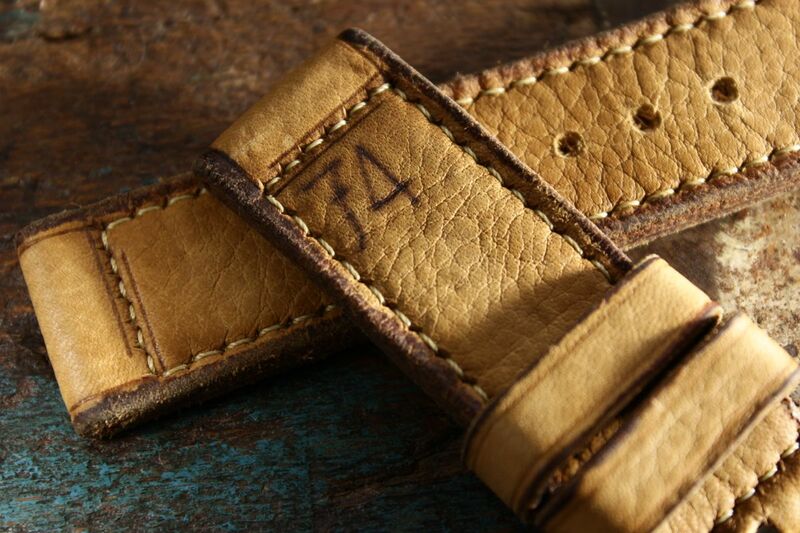 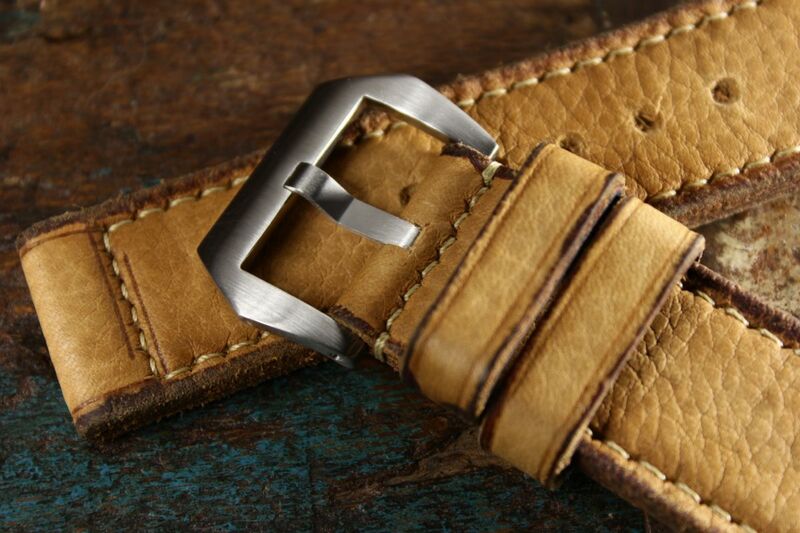 Even the “74″ is drawn by hand on every single strap. 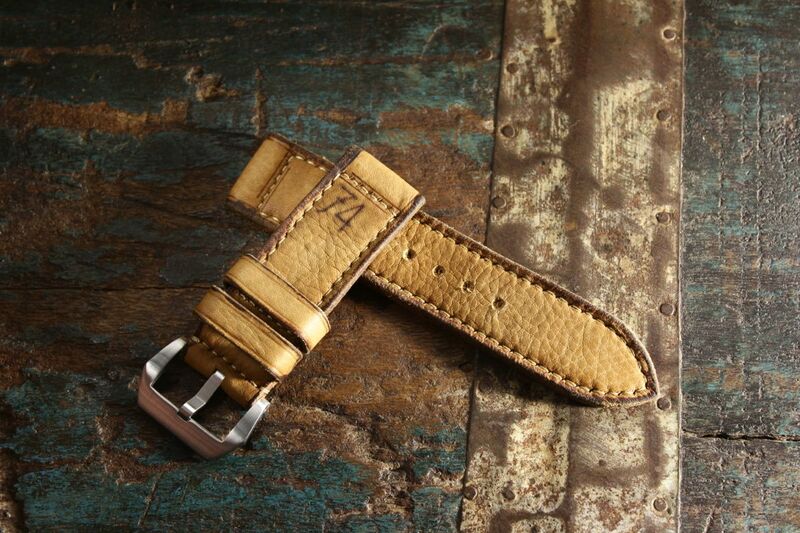 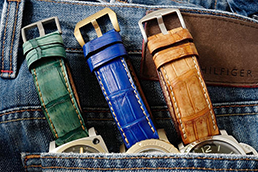 Every strap will be custommade for your wrist and watch - so you can get any number you want instead of the "74". 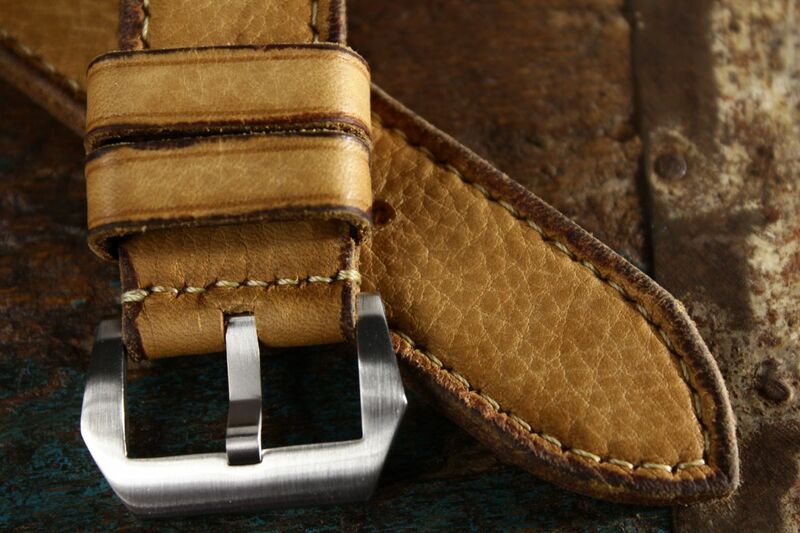 We would like to point out, that our stitching is not machine-made. 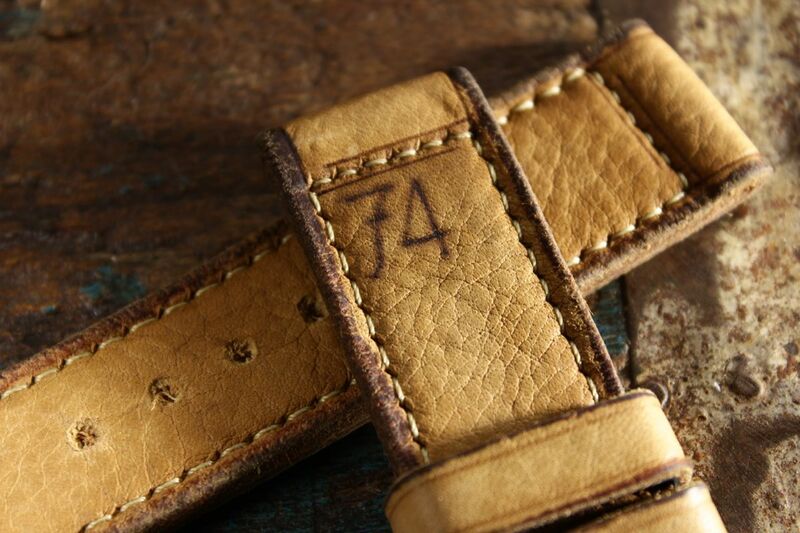 Our stitching is done completely by hand. 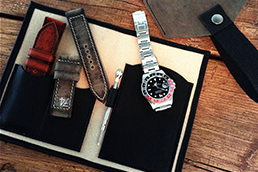 We don`t use any machines during the entire production process.